This month’s theme was “Travel”, so the products came in this pretty, hot pink travel makeup pouch, as opposed to the boring black box. 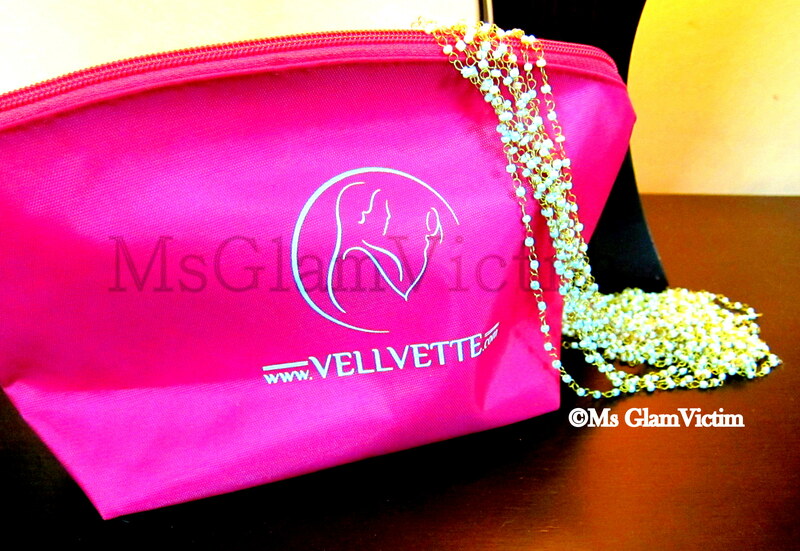 This pouch is pretty sturdy and can be used as a travel makeup case. They also sent me a personalized note with a list of products. 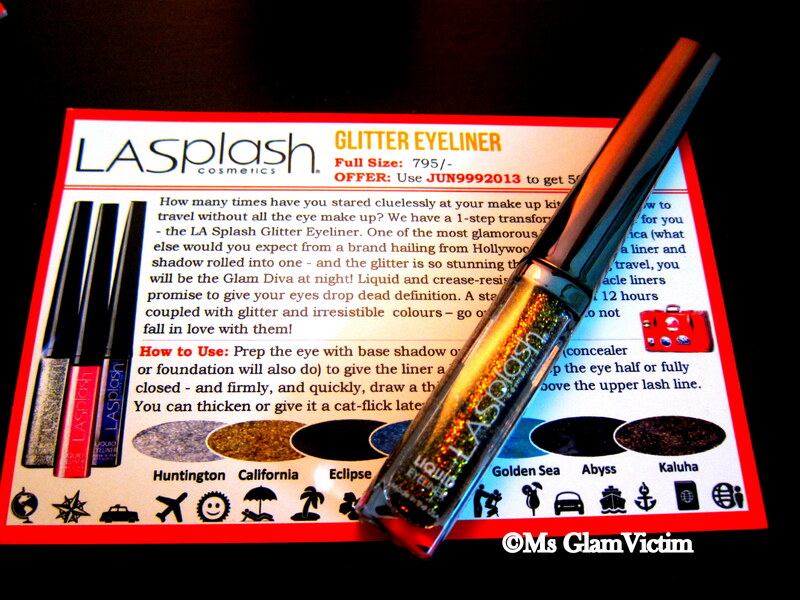 This is full size bottle of glitter eyeliner (worth Rs. 795/-). Its a pretty gold bronzy glitter eyeliner. I look forward to using in a fun makeup look, possibly for an Indian wedding. I received two samples for these. This is a serum for oily-combination skin types. 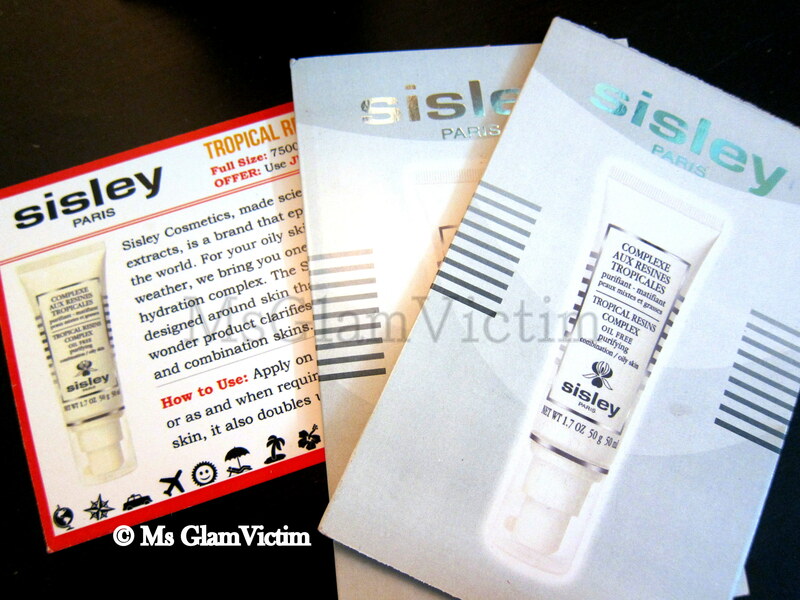 I am still to give it a try, although I am disappointed with this product as these are just samples that I can get from the Sisley counter for free anyway. This is again a disappointing product as they are samples. 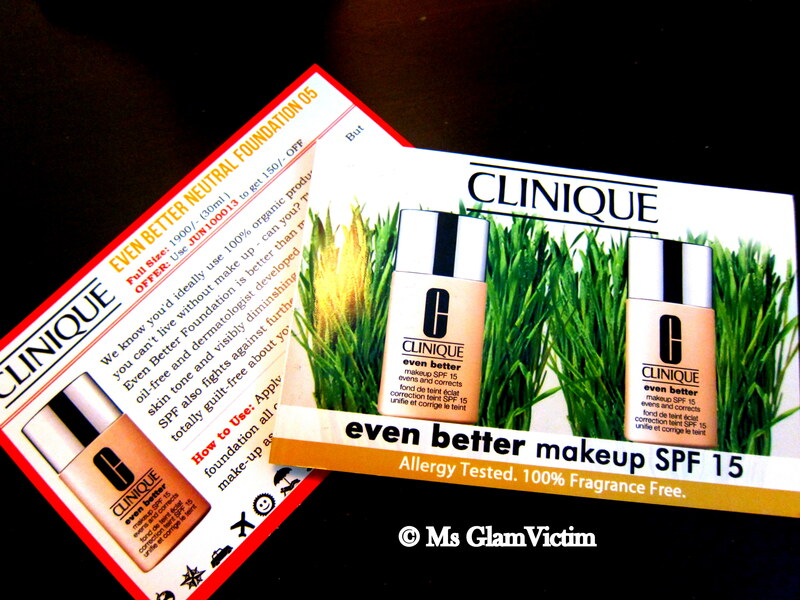 I can get these easily at the Clinique counter (Clinique is generally very generous with samples). I haven’t tried this product yet, but I have read good reviews about it. 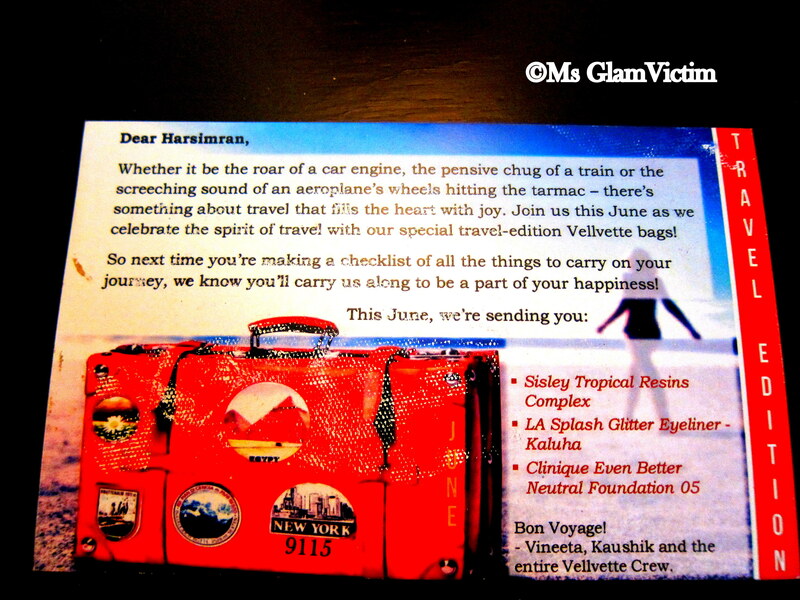 Now, I wonder if I should go for the July Vellvette box? Let’s see if they come up with a preview. Have you tried any of these products? What are your thoughts? Did you try that eyeliner ? very pretty stuff you get !!!!!!!! !